Nowadays, virtualization is becoming the top priority need for many organizations and they take special care of it while designing their IT infrastructures. The trend of using virtualization instead of hardware storage is just not an occasional practice rather it has become important because of the high resilience and high availability that virtualization provides. Moreover, a lot of money and other resources are spent on improving and enhancing the virtualization technologies day by day so we can say this very confidently that this trend is going to last for a long time. From the above image, it is very much clear that today we are going to discuss the four virtualization products i.e. VMware ESXi, Microsoft Hyper-V, Red Hat KVM and Citrix Xen shown in the image. So let us proceed towards our discussion. ESXi is a virtualization product that is developed by VMware and it is an embedded bare metal hypervisor. It is mainly used to facilitate centralized management for enterprise desktops and data center applications. It is considered as one of the leaders in server virtualization industry. It has a default cluster file system. It has VVOLS technology, which allows managing the underlying storage through a single console. It has VAAI technology, which offloads simple routine operations from hypervisor to storage layer. It has vSphere SDKs that provide interfaces for third party solutions to access vSphere. It has Virtual Distributed Switches (VDS) that span multiple VMware ESXi hosts and enable considerable network maintenance reduction. It has a simple and single management console without any extra licensing cost. It runs on both Windows and Linux VMs. It is very stable even under heavy amount of workload. It has Virtual Desktop Infrastructure (VDI), which allows integrating itself with the management console. It has an expensive and complicated licensing model. It is not capable of providing backup Free hypervisor. Microsoft Hyper-V is a Windows based bare metal hypervisor with a huge infrastructure, which allows building a complete environment based on Microsoft products. It is best suited for production and enterprise environments. Its capability of direct integration with Windows server systems make it even more attractive for Microsoft users. It has a full set of native Microsoft market products. Its feature of Virtual Machines Failover allows migration between hosts in case of failure. It provides a fully functional free license in case of GUI-less edition. It includes many third party softwares. It also has the feature of Offloaded Data Transfer (ODT), which allows speeding up certain "Copy and Move" operations by performing them directly on storage instead of running them between storage and client through the network. It has a fully functional free edition and it can run on both Windows and Linux VMs. It has nested virtualization support and numerous backup possibilities. It has the feature of Live migration and Storage migration and it is a perfect match for small and medium businesses due to its diverse licensing models. It has built-in Replication feature for DR purposes. It has a Complex Security Network because of Windows Active Directory. It has a complex licensing model especially for Advanced Management Console. Its free edition is only available for Windows VMs and that too without GUI. KVM stands for Kernel-based Virtualization machine. As a part of KVM Virtualization Suite, Red Hat KVM is a complete virtualization infrastructure solution. It provides a normalized management API for the virtualization solutions and allows a stable, cross-hypervisor interface for higher-level management tools. It also provides APIs for virtual networks and storage management on the VM Host Server. It has an unmatchable performance and container support. It provides hot plug virtual resources and disk I/O throttling. It has overcommitted resources with huge scalability. It has the features of Disaster Recovery Support, Live Migration and Storage Migration. It has the ability to assign any PCI device to virtual machines. It has a fully functional free edition. It can run on both Windows and Linux VMs and it is a low-cost virtualization solution. It provides a wide range of infrastructures. It has poor backup options. Strong management skills are needed to deploy and support this product. Citrix Xen Server was originated from an open source world and is built upon the enterprise technologies. The starting price for the hypervisor is very enticing. Moreover, the Enterprise version contains majority of the features that are highly required by administrators. It has Role Based Administration and Control (RBAC). It has the features of multi-server management, active directory integration and dynamic memory control. It provides host failover protection and site recovery. It comes with In Memory Read Caching, Live Migration and Storage Migration. It has got mixed resource pools with CPU masking and Distributed Virtual Switch Controller. It provides a very stable free version. It can run on both Windows and Linux VMs. It provides a wide range of native features. The latest free version is limited. Strong management skills are required to deploy and support this product. Run on both Windows and Linux VMs. Some sort of free version is available in each of these four products. 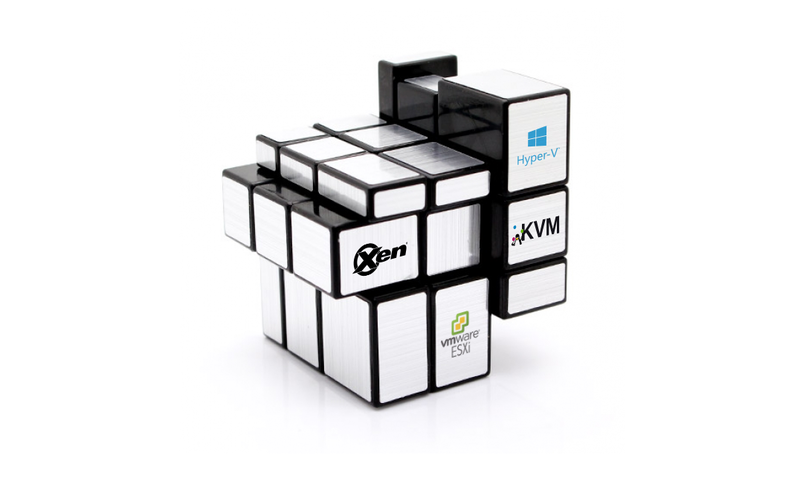 Complex licensing models in case of VMware ESXi and Microsoft Hyper-V.
Strong management skills are required in case of Red Hat KVM and Citrix Xen Server. Red Hat KVM provides poor backup options whereas rest of the three virtualization products come with very good backup solutions. Out of these four products, only Citrix Xen Server comes with In Memory Read Caching feature. Microsoft Hyper-V is the only virtualization product that provides a full set of native Microsoft market products. VMware ESXi provides VVOLS and VAAI technologies that no other virtualization products provide. Microsoft Hyper-V was gaining attention until 2016. In 2016, Microsoft Corporation released its major Windows Server 2016. New Microsoft Hyper-V version came out with many native features: Azure Stack; software-defined networking; software-defined storage. At the same time, Microsoft Hyper-V is a complex ecosystem with its benefits and drawbacks. Because of the present license policy, it is very simple and so hard to find the needed solution or product at the same time. On one side, Microsoft creates more and more complicated licensing models so that the most popular and useful products become paid. On the other side, many companies including Microsoft provide centralized management. Along with new Microsoft release, VMware is gaining momentum within the enterprise sector. VMware, compared to Microsoft Hyper-V and Red Hat KVM hypervisors, does not have a fully functional free license. Meanwhile, any other hypervisor can be used with any storage capacity; any computational resources and any needed scale. VMware's hypervisor does come with a free version, but with so few features that they will be never considered for the production purposes. Features that are more sophisticated charge a higher price that makes VMware ESXi target the enterprise niche. Red Hat KVM is a superior product in many circumstances, especially for Windows users. Its main benefit is that it is more user-friendly than Microsoft Hyper-V. If a Windows user is looking for something simple and meant for the Windows use case, Red Hat KVM is definitely an option.  Red Hat KVM provides a full set of features that are completely free. Citrix Xen Server implements innovative technology and shows itself in diverse use cases. Earlier, it was an extremely strong solution for high skilled administrators, but it has become very limited nowadays because of the free license limitation. The vendors will continue to place some number of roles in the private cloud. It means that you need to make a referral by yourself, but if you are highly skilled and can invest a little bit more time to dive in, it can be a rewarding solution. If we go deeper into what StarWind users exploit as a hypervisor, we will see the following situation: common users, primarily small and medium businesses with a few servers in production, tend to choose Microsoft Hyper-V; those who choose VMware usually possess greater production environment. Meanwhile, Citrix Xen Server and Red Hat KVM are gaining momentum now. Red Hat KVM with its fully functional free version and impeccable performance, however, attracts more and more users. This year StarWind released its new software management tool. We will not give a deeper insight into its licensing model here, but we can hint on its potential to allow all Microsoft Hyper-V and Red Hat KVM users to manage (migrate, create, monitor, convert) their infrastructures from one single pane of glass. The tool will also facilitate all common processes related to the infrastructure. As for the backup, which is the main part of each infrastructure, it will be added in the Management Console along with Proactive Support and many other StarWind features. Virtualization technology has gained good reputation among many companies because it helps to optimize IT infrastructures, as well as business budgets. In the course of this article, we managed to take a closer look at four major virtualization products present in the market today i.e. VMware ESXi, Microsoft Hyper-V, Red Hat KVM and Citrix Xen Server. Each of them has its own advantages and drawbacks, which make a market differentiation.